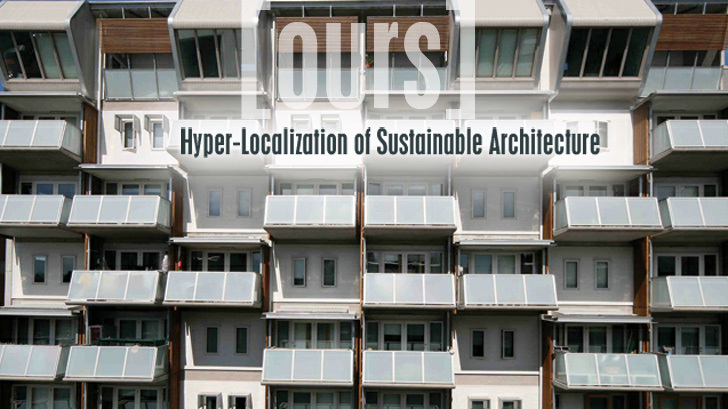 The new book [ours] by and Inhabitat architecture writer Andrew Michler and eVolo on the hyper-localization of sustainable architecture ends its Kickstarter campaign at noon on August 31st - which means there's just a few days left to donate! The book is based on the idea that the most exciting environmentally astute designs today are creating new regional identities, and all funds raised go towards researching a fresh way to understand 21st century contemporary architecture. The goal is within sight, but since Kickstarter uses an all-or-nothing funding model your support is critical - so check out the page and donate today! Hyper-local sustainable architecture is the best environmentally appropriate building—sensitive to its location, culture, energy, water and materials use as well as its occupants. Rather than put great cutting-edge building projects in isolation the book will look both inward at how they work and came to be, and outward at how environmentally astute architecture is informed by—and can redefine—the society it is placed in. [ours] focuses on three such places and the very different, but powerful ways that each one is vividly solving sustainable goals with contemporary design. [Japan Condenses] rethinks urbanism and space, [Spain Wraps] explores how beautiful envelopes improve performance, and [Australia Unfolds] tells how bold architecture transforms the built environment and makes the best use of natural resources. Many other regions will be explored as well. The project needs some finacial resources though to support researchers, procure equipment, and most importantly get to these places to interview the architects and see firsthand what hyper-localization could look like as this century progresses. Take a look at the Kickstater campaign to get a peek at some of these places and check out the rewards—from the digital chapter [Japan Condenses] to a signed copy of the finished book, a copy of eVolo’s latest magazine issue Re-Imagining the Contemporary Museum, and exclusive transcripts of interviews with great architects. They even made custom zenblocks for you to discover your inner parametric architect. All the funds go to research so help get this ground breaking project off to a great start and get some nice stuff for your help. Kickstarter is all or nothing so every little bit helps. Hyper-local sustainable architecture is the best environmentally appropriate building-- sensitive to its location, culture, energy, water and materials use as well as its occupants. 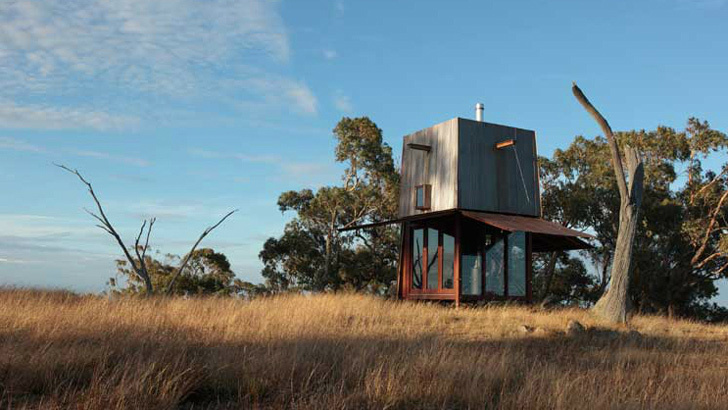 Rather than put great cutting edge building projects in isolation the book will look both inward at how they work and came to be, and outward at how environmentally astute architecture is informed by and can redefine the society they are placed in. [ours] focus on three such places and the very different, but powerful ways each one is vividly solving sustainable goals with contemporary design. [Japan Condenses] rethinks urbanism and space. [Spain Wraps] explores how beautiful envelopes improve performance. [Australia Unfolds] tells how bold architecture transforms the built environment and makes the best use of natural resources. Many other region will be explored as well. The project needs some finacial resources though to support researchers, procure equipment, and most importantly get to these places to interview the architects and see firsthand what hyper-localization could look like as this century progresses. Kickstater campaign to get a peek at some of these places and check out the rewards-- from the digital chapter [Japan Condenses] to a signed copy of the finished book. A copy of eVolo’s latest magazine issue Re-Imagining the Contemporary Museum, and exclusive transcripts of interviews with great architects. They even made custom zenblocks for you to discover your inner parametric architect. Help get this ground breaking project off to a great start and get some nice stuff for your help. Kickstarter is all or nothing so every little bit helps.